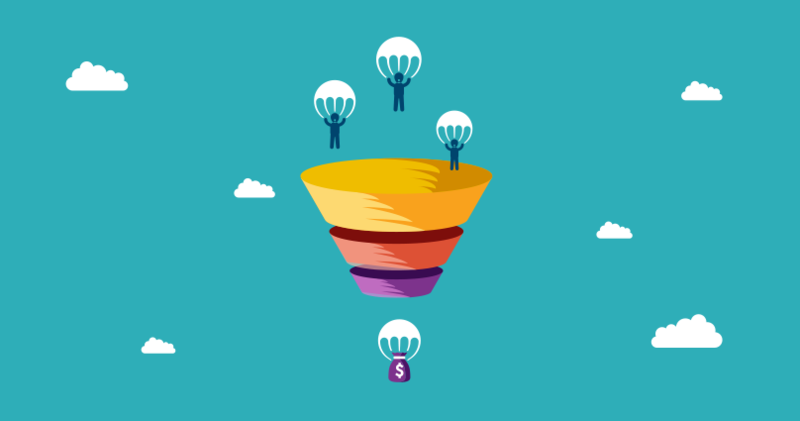 What's Happening to Prospects in Your Funnel? Is your business struggling to nurture your leads? Are your hot prospects turning cold? Are you losing leads to your competitors? If you answered yes to any of these questions, lead nurturing with marketing automation may be your answer. First, let's define lead nurturing. Lead nurturing is the process of actively staying in front of your prospects for a first time sell, and your customers for up-selling and cross-selling opportunities, including referrals. Throughout this process, you "keep tabs" on these people through what's known as a lead score. As each person interacts with your business, whether through email, website visits, social media, and more, their lead score increases. Since you'll be able to track their actions, you can send them more content on what they're most interested in. The process is called list segmentation. You can segment your list based on profiles (for example, they're a CEO of a large company with a big budget) and/or you can segment your list based on actions (for example, they filled out some online forms, downloaded an ebook and visited a pricing page). The best part is marketing automation software tracks all these things for you. You just have to tell it what you want to segment by. For example, let's say you have a list of prospects that, since you are tracking their actions, have all visited a specific service page on your website. We'll call it "Service A." Since they are interested in Service A, you should send them more information on that service, like a pdf download or video. After that, unless they unsubscribe or engage, you should continue sending them emails on Service A, continuously getting more personal as they move down the funnel. This process allows you to keep your company at top of mind of your top prospects, enhancing the probability of closing a sale. How Do You Know if This Will Work for You? There are several factors that come into play when deciding if marketing automation is a good fit for your business. It's first important to understand that although marketing automation can be used in the lead generation process, it's primary goal is lead nurturing. Although it's a very powerful tool, it's not the solution for every business's goals. how many sales do you need to close a month? Marketing automation is a tool that requires consistent action. If you do not have a team in-house that can take over the responsibilities of marketing automation, you may want to consider hiring an outside agency to take care of everything for you. Remember, lead nurturing needs to be consistent in order to be successful. If you have a good email list, attainable goals, and a team to help implement marketing automation, you may be a good fit. If you'd like to talk more about if your goals can be reached with marketing automation, give us a call at 916-608-8913. We'd love to help your business start closing more sales with marketing automation.